The United States Constitution gives each of us the right to remain silent under the 5th Amendment and the right to be represented by an attorney under the 6th Amendment. For a host of reasons explained in this article, it is particularly important for children and teenagers to exercise these rights during a criminal investigation. If requested, the parents and child can still provide biographical information such as the child’s name, date of birth, and address without waiving these important rights, but the child isn’t required to provide any other information. An attorney can help you decide what you need to do right now to protect your child against a criminal accusation. Even for minor offenses, it is important to understand the impact a criminal record might have on the child’s future. An attorney can explain the consequences of waiving the right to a speedy trial or signing documents presented before the first court date. We can also help you if your child is being processed at the Hillsborough County’s Juvenile Assessment Center (JAC). 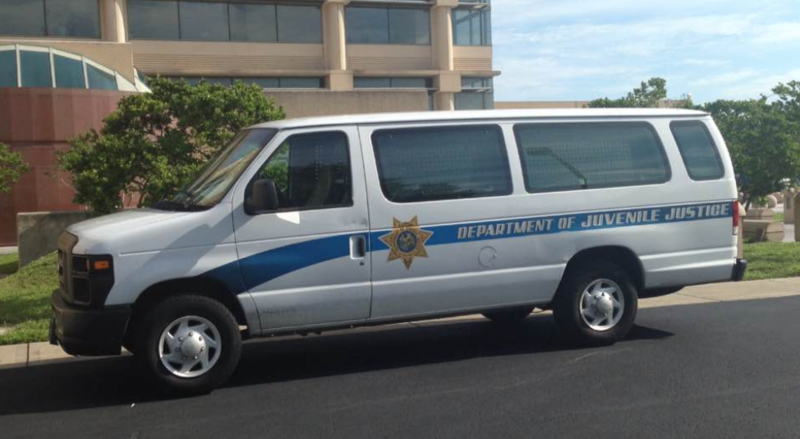 Each year, thousands of juveniles are booked at JAC on felony and misdemeanor offenses. In many of those cases, the parents will receive a “juvenile notice to appear” or a “delinquency case summons” after a petition is filed in juvenile court. The filing of the petition also triggers the arraignment hearing in juvenile court. Even if the incident occurred outside of school, if a felony petition is filed in juvenile court, it might trigger a suspension, change of placement, or expulsion by the school. Having an attorney early in the case can help you determine the best course of action. We work hard to increase the chances that the State Attorney’s Office in the Thirteenth Judicial Circuit will drop the charges completely, allow the child to enter the best diversion program available, or file only reduced charges. An attorney can also make sure the child understands all of the pros and cons of each way of resolving the case while fighting for the best result. Leslie Sammis has worked in the juvenile courts throughout the State of Florida. During part of her tenure as a former assistant public defender in the Fourth Judicial Circuit, Ms. Sammis was assigned to the juvenile court division where she helped hundreds of young people fight their criminal cases. Since entering private practice more than fifteen years ago, Ms. Sammis has continued to represent teenagers in juvenile courts throughout Hillsborough County, Hernando County, Pinellas County, Pasco County, Manatee County and Polk County, FL. The other attorneys in the firm, Jason Sammis, Matthew Menendez, and Amanda Brunson, are also very experienced in fighting cases and going to trial in juvenile court. Criminal defense in juvenile court is very different from the adult juvenile justice system. Talk with an attorney that has experience in juvenile court for the particular jurisdiction in which your adolescent son or daughter is facing charges. We represent juveniles at all stages of the case from the initial criminal investigation, the first appearance, the delinquency case summons, arraignment, through the final adjudicatory hearing. If you did not have a private attorney at the first appearance and your child is being detained in secure detention, we can help you go back to court to ask that the child is released to the parent on home detention while the case is pending. We can also visit your child at the detention facility to discuss the case. At Sammis Law Firm, P.A., we offer free consultations that can be scheduled in the office or over the phone today so that you can discuss your child’s charges with an experienced attorney. Our dedicated legal team works hard to find the best way to help your son or daughter fight the charges in Tampa, Brooksville, New Port Richey, Dade City, Bradenton, or Bartow, FL. Call (813) 250-0500 to speak with a defense lawyer from our firm today. The Juvenile Delinquency division has jurisdiction over cases in which a prosecutor with the State Attorney’s Office has alleged that a juvenile committed a felony or misdemeanor offense or has been found in contempt of court or in violation of a local ordinance other than a traffic offense. The teenager is entitled to legal counsel who can include a private criminal defense attorney or an attorney with the Public Defender’s Office who will represent the child during the legal proceedings. The Department of Juvenile Justice in Hillsborough County provides case management services. For all juveniles taken into custody and not detained in accordance with Florida Rule of Juvenile Procedure 8.045(c), the notice to appear issued to the child must indicate the division in which the child will appear. was ever on probation or commitment status. Division “M” – A, B, C, D, E.
The Office of the State Attorney for the 13th Judicial Circuit in Hillsborough County prosecutes juvenile cases in Tampa, FL. The Juvenile Division is part of Circuit Court. All misdemeanor and felony cases charged against a person under the age of eighteen are handled in that division except for misdemeanor traffic. If a juvenile is charged with a misdemeanor traffic or driving offense, then that case will be heard in a regular County Court division regardless of the driver’s age. In the juvenile courts in Tampa, FL, the prosecutors used different sentencing alternatives (other than commitment programs or probation), especially for first-time offenders with no prior juvenile record. Many first time offenses are resolved in specialized diversion programs. Even when a diversion program is offered, it is helpful to have a privately retained criminal defense attorney help you understand the consequences of the resolution and negotiate the terms. Although entering diversion is a very good option in many cases, in other cases, entering a juvenile diversion program can be problematic and the consequences of that decision can last a lifetime. Prosecutors view diversion programs in juvenile court as a way to use early intervention to redirect the youth toward a more positive future. Stop Theft Early and Learn. Read more about the letter from the Juvenile Assessment Center (JAC) in Tampa, FL, that indicates the child meets preliminary diversion eligibility criteria. In any criminal case involving a child or teenager, the first step is determining whether the prosecutor has sufficient evidence to prove each element of the offense. Our attorneys use cutting-edge legal research techniques to understand the law. The next step is an investigation to uncover all of the facts that the defense can use to establish the teenager’s innocence or mitigate any punishment. In some cases, the child needs an attorney for representation at a restitution hearing, especially in cases involving theft or property damage such as vandalism or criminal mischief. Often the victim in the case is seeking a much higher amount than the actual loss. A defense lawyer can be an asset in ensuring this hearing is conducted in a fair manner. The court will often refer the case to the Juvenile Probation Officer for a recommendation regarding the child. When appropriate, we provide the Florida Juvenile Probation Officer with a complete biographical history of the child and mitigating factors that exist in the case so that more favorable pre-trial negotiations can take place. Most importantly, we fight to protect the child from any long-term consequences that the prosecutor might seek to impose. How is a Juvenile Proceeding in Florida Different from an Adult’s Prosecution? The circuit courts have jurisdiction over all cases in which an adolescent is alleged to have committed a delinquent act or violation of the law. A violation of the law is alleged through a delinquent complaint filed by a law enforcement officer regarding a felony, misdemeanor, contempt of court or violation of a local ordinance. Among others, involved law enforcement can include Hillsborough County School Resource Officers and Tampa Police Officers. A juvenile proceeding is technically a civil matter and is not considered a criminal proceeding. Although this distinction exists, the devastating consequences of an arrest and finding of guilt are very similar under Florida law. In a juvenile proceeding, the child can be convicted, and sentenced to imprisonment, residential programs that remove the child from the home, or probation. He or she can also be ordered to pay restitution and complete community service. Young people under the age of 18 do not have all of the same protections that an adult has to defend themselves against false or exaggerated accusations. Most notably, there are no jury trials in juvenile court under Florida law. If the case goes to trial, the juvenile court judge will determine your child’s guilt or innocence. Minors maintain many valuable protections, such as the right to a speedy trial. Florida law requires the prosecutor to bring the child to trial within 90 (ninety) days of the initial arrest, or the date the petition is filed, whichever occurred first. In certain cases, the attorney may need to waive the right to a speedy trial. However, that is an important decision that must be decided carefully as part of an overall strategy. Once the teenager has been arrested for a violation of the law, the child will be taken to the Juvenile Assessment Center (JAC) where the JAC will determine whether further detention is necessary. After arrest and detention, the child will be taken to a juvenile detention center in the county in which the offense allegedly occurred. During the intake process, the JAC staff will contact the parents or legal guardians. In many cases, especially for a misdemeanor or third-degree felony offense, the releasing officer with the Department of Juvenile Justice (DJJ Counselor) will issue the child a “Juvenile Notice to Appear.” This notice directs the parent, adult relative, legal guardian, or another responsible adult to take custody of the child and promise to ensure that the child appears at the designated time for the arraignment. The notice also provides that if the child fails to appear in court for the arraignment or any additional conferences or appearances scheduled by DJJ or by the Court that the failure to appear may result in a custody order being issued and that the child may be picked up and taken into juvenile detention. The DJJ may also ask the parent to sign a statement of authorization and use of social security account numbers by parents and guardians of youth being served by DJJ. The form provides that DJJ is authorized under Section 985.101(3) Florida Statutes to obtain and use the child’s social security account number (SSAN) solely for the purpose of positive identification of the parents, including determining Medicaid eligibility. The use or sharing of the SSAN for any other purpose is forbidden under Section 119.071(f) Florida Statutes and DJJ Policy #1700. Alternatively, after the juvenile is admitted to any Florida juvenile detention center, the child will be taken in front of the juvenile court within 24 hours for a detention hearing. An experienced Tampa juvenile lawyer can represent your child at the detention hearing to provide your child with the best chance of being released while the case is pending. Florida’s juvenile detention facilities are designed as a temporary program to provide detainment before the court case resolution. If found guilty, the child can be sentenced to a long-term residential program or a non-residential program as discussed below. What Happens During a Florida Juvenile Detention Hearing? Within 24 hours of being taken to the Juvenile Assessment Center (JAC), the child will be brought before the court for a detention hearing. During this hearing, an attorney is allowed to represent the child. The court will then review the allegations, the juvenile’s history, and other circumstances to determine whether the detention should be continued, whether the child should be released to his parent or guardian, or whether the child should be placed on home detention. In certain cases, the child is released to his or her parents before the detention hearing. However, in those cases, the child and parent must appear at the detention hearing the next morning. The juvenile court judge can release the child at the detention hearing, or continue the detention for up to 21 days. Hiring an experienced juvenile defense lawyer in Tampa to appear at the detention hearing can make the difference between continued detention or release back into parental custody. The Florida Juvenile Probation Officer (JPO) will initiate the intake process by reviewing a copy of the charging report from the officer that made the arrest or the clerk of the court. The JPO then contacts the child and his or her family to request additional biographical information about the child, including family history, school records, and outside activities. A juvenile defense attorney can assist the family in providing this information and presenting all favorable biographical information and mitigating factors to the JPO. The information gathered during the intake process will be used by the JPO to make a recommendation to the court about how the charges against the juvenile should be resolved. The JPO’s report and recommendation will address the type of offense charged, the risk to the community, the wishes of the alleged victims, and the needs of the child. The intake report and recommendation is then forwarded to the State Attorney’s Office. If the JPO recommends a non-judicial intervention program, also called a Florida juvenile diversion program, then this recommendation is reviewed by the Assistant State Attorney assigned to the case. If the State Attorney’s Office agrees, then the child and his or her parents must sign certain documents to take advantage of this program. A waiver of speedy trial rights and agreement to complete all of the requirements of the diversion program must be signed by both minor and parent or guardian. The diversion program essentially “diverts” the child away from the Florida juvenile courts and through a program run by the State Attorney’s Office. If the program is successfully completed, then the prosecutor takes no further action to prosecute the case. On the other hand, if the program is not completed, then the state attorney’s office will file a formal charge with the clerk of court’s office, called a petition, against the juvenile. If the youthful offender does not complete the diversion program, or if the Florida State Attorney’s Office will not agree to offer a diversion program that the juvenile agrees to take, then the State Attorney’s Office will file formal charges of the criminal offense, called a petition, with the clerk of court. In certain cases, a qualified Hillsborough County juvenile lawyer can discuss with the child and the parent the pros and cons of entering a juvenile drug court program. Drug court is not appropriate in all cases, and it may not be in the juvenile’s best interest if valid defenses to the charges exist, if the charges are not serious enough to warrant drug court, or if the child is innocent of the offense charged. Hillsborough County has developed a Juvenile Drug Court, which was established in 1996. The Hillsborough County Juvenile Drug Court is aimed at youth who have committed drug offenses or have a history of substance abuse issues. The benefit of Juvenile Drug Court is that if the program is completed successfully, the charges will be dismissed, and the child will not be convicted of a delinquent act. pursue a GED or attend school on a full-time basis. The downside of the program is that the minor must enter a plea and be placed on probation. A violation of that probation could result in a harsher sentence, which could include the child being removed from the home. The program typically takes 12 months to complete. identifying triggers that lead to substance abuse. Preparing a juvenile case for trial is very similar to preparing an adult case for trial. The lawyer is allowed to speak to the witnesses involved, including public school resource officers, teachers, administrators, other children, and neighbors who may have knowledge about the case. When a felony offense is alleged, the attorney has the opportunity to take the deposition of the witnesses involved. After a complete investigation of all of the evidence and witnesses that the State intends to introduce at trial, the juvenile defense attorney can also present witnesses or evidence that support the juvenile’s side of the event. The defendant’s legal counsel can file motions to suppress evidence and motion to dismiss the charges. In many cases in which the defendant has been falsely accused the prosecutor will agree to drop the charges before trial. The judge may dismiss the charges before trial based on a defense motion. In other cases, it may be in the minor’s best interest to take the case to trial after pursuing all pre-trial motions to resolve the case. If the case proceeds to trial and the child is found not guilty, then the case is over. The minor’s record will be sealed. Adult Sanctions (if the child is tried as an adult in adult court). The sentence imposed depends on whether the charge is a misdemeanor or a felony offense. The court can order a supervision program called probation after a juvenile has been found guilty of a delinquent act. Probation is a form of supervision that restricts the child’s freedom and activities and is ordered instead of committing the child to the custody of the Department of Juvenile Justice. A probation sentence usually orders the child to complete certain conditions such as community service hours and paying restitution to the victims to compensate them for financial damages. A condition of probation can also involve submitting to a mental health evaluation or counseling. Counseling can involve anger management classes and substance abuse counseling. The court can also impose a curfew and day treatment program, which provides additional supervision of youth in an educational setting. For certain offenses, the court can order the child to submit a biological sample for DNA testing. After a juvenile is placed on probation, a Juvenile Probation Officer (JPO) is assigned. The JPO will supervise the child to determine whether the child is complying with the court-ordered special conditions of probation. The court may also order that the parents of guardian report any violations of the court order by the child to the JPO and the court. If the child commits a new offense or fails to complete timely the special conditions ordered by the court, the JPO will file a Violation of Probation Petition. If the court finds the violation of probation did occur, the court may revoke probation and impose an alternative sentence, such as placement in a residential facility run by the Department of Juvenile Justice or any other sentence that could have originally been imposed. After release from a residential program, the juvenile will be supervised as part of post-commitment probation or conditional release. Both post-commitment probation and conditional release require the child to comply with special conditions that are similar to those imposed in a probation sentence. Violations can result in the juvenile being recommitted into a more restrictive residential program. Conditional Release supervision violations are governed by administrative hearings conducted by department staff of the Department of Juvenile Justice. The court is not involved in conditional release violations. However, violations of post-commitment probation are handled by the court in the same manner as a violation of probation cases. When is a Child Tried as an Adult in Florida? For certain types of felony charges, it is possible for the juvenile’s charges to be filed in adult criminal Circuit Court by either: Direct File, Waiver or Indictment. Once the case is transferred to adult court, the minor can be tried and sentenced to adult sanctions, including prison. In Florida, any person arrested for a criminal offense who is under the age of 18 is considered a juvenile. However, even juvenile offenses can be transferred to adult court. Any felony offense allegedly committed by a 16 or 17-year-old person can be transferred to adult court. Even a 14 or 15-year-old child can be charged in adult court for certain offenses such as grand theft auto, robbery, aggravated battery or possession of a weapon on school grounds. Any offenses committed with a firearm under the “10-20-Life” provisions of Florida Law can be transferred to adult court. If the State Attorney’s Office files the charges in adult court, then the juvenile is transferred to the county jail to a pod with other juveniles facing similar charges. Once the case is transferred to adult court, the minor is entitled to a bond hearing under the same provisions as an adult with similar charges. After a plea or finding of guilt, the Department of Corrections will normally file a report that makes certain recommendations to the Court regarding the child’s charges. It is possible for a minor found guilty in adult court to be sent back to the Department of Juvenile Justice for the imposition of juvenile programs and sanctions. Adjudication – finding by the Juvenile Court that a child accused of a delinquent act committed the act either after a plea or trial. Disposition – services order or sanctions imposed by the juvenile judge (or agreed to in a diversion program) for the purpose of addressing juvenile’s illegal act and holding the child accountable for problematic behavior. Detention – status of a juvenile being secured in a juvenile facility under the order of the court on a temporary basis while awaiting a juvenile court hearing. Petition – the document that formally brings charges against the child in juvenile court (analogous to the term “indictment” in adult court). Secure Placement – status of a juvenile being held in a secure facility under court order for the purpose of complying with the terms of a disposition order (analogous to the term “incarceration” in adult court). Read more about the rules to expunge or seal a juvenile arrest record. 13th Judicial Court: Juvenile Diversion Programs – Find information on diversion programs that can help your child avoid a juvenile record if successfully completed. Find information on programs run through the 13th Judicial Court System, serving the Hillsborough County community. Hillsborough County’s Juvenile Justice Taskforce – This task force was established in 2009 to address the disproportionate number of minorities in the county’s juvenile justice system. Members of the taskforce include current and retired 13th circuit court judges, Hillsborough County school district administrators, local NAACP members, and Pastors on Patrol, among others. Hillsborough County Sheriff’s Office: Juvenile Assessment Center – The Department of Detention Services of the county sheriff’s office provides secure receiving, processing, and intervention for adolescents who have been taken into custody by Florida law enforcement officers. Juvenile Division of the State Attorney’s Office – Visit the website of the State Attorney’s Office in the Thirteenth Judicial Circuit to learn more about why prosecutors believe that early intervention is the key to helping children accused of being a juvenile delinquent. Find information on standard sections in a juvenile case including commitment or probation administered by the Department of Juvenile Justice and alternative sections such as specialized diversion programs offered at the Tampa Courthouse in the Juveniles Delinquency Courtrooms. Florida Department of Juvenile Justice (DJJ) – The DJJ comprises more than 4,000 employees in 15 district offices, with 20 regional detention centers and more than 150 commitment programs and facilities, operating on an annual budget of $330 million. This Department is responsible for reducing juvenile delinquency rates through early intervention and treatment. National Center for Juvenile Justice (NCJJ) – The NCJJ is a private, non-profit organization providing independent and original research on topics related directly and indirectly to the field of juvenile justice since 1973. Parents play a critical role in every aspect of their child’s criminal proceeding, from the moment of detainment. Learn more about an important finding made by the U.S. Supreme Court regarding a parent’s involvement. The juvenile justice system is supposed to be geared toward rehabilitating the child. However, all too often, overzealous prosecutors focus on taking a course of action that can be devastating to the child’s future. An accusation against a minor can result in the creation of a juvenile delinquency record and possible placement outside of the home. Protecting the child’s future career and educational opportunities are crucial. In many of these cases, the prosecutors and the courts seek to place the child in State-run programs that group troubled children together instead of addressing the cause of the problem in a more productive setting. The juvenile delinquency attorneys at Sammis Law Firm works with some of the best adolescent psychologists in the Tampa Bay area. In those cases in which court intervention is necessary, Ms. Sammis is armed with the information needed to make it more likely that the court will continue in the treatment program already underway instead of being left to the mercy of State Run programs. When it comes to your child’s future, it’s important not to take chances and to consider all legal options carefully. Hire an experienced Florida juvenile attorney to represent your child in Tampa, Bartow, St. Petersburg, Clearwater, New Port Richey or Dade City. Our juvenile defense law firm represents adolescents charged with a misdemeanor and felony crimes in the Hillsborough County, Pinellas County, Hernando County, and Pasco County. We can help you learn more about the immediate and long-term consequences of adjudications of delinquency in juvenile court. Contact attorney Leslie Sammis to discuss your child’s case by calling (813) 250-0500. This article was last updated on Monday, April 12, 2019.